Sydney Metro City and Southwest awarded John Holland CPB Ghella (JHCPBG) the contract to build the new 15.5 km twin tunnels from Chatswood to Sydenham. This includes the future Victoria Cross North Station on Miller Street in North Sydney. 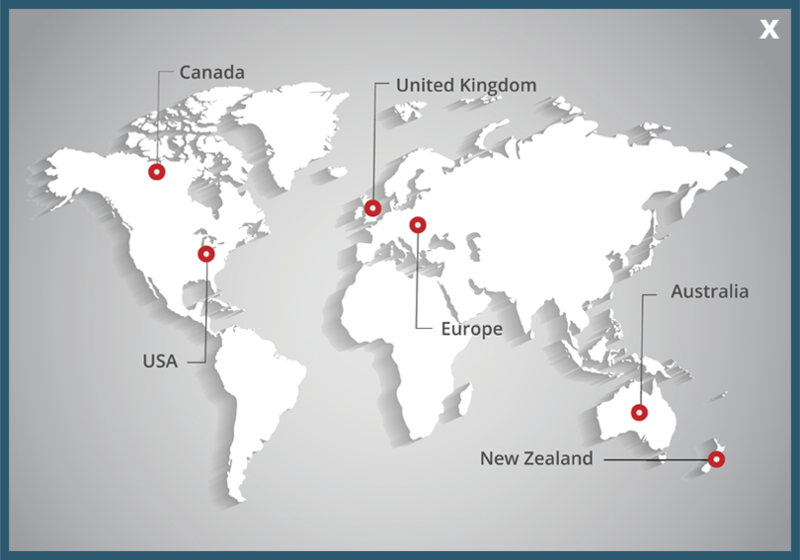 See how SafeSmart helped workers and heavy vehicles share the space. 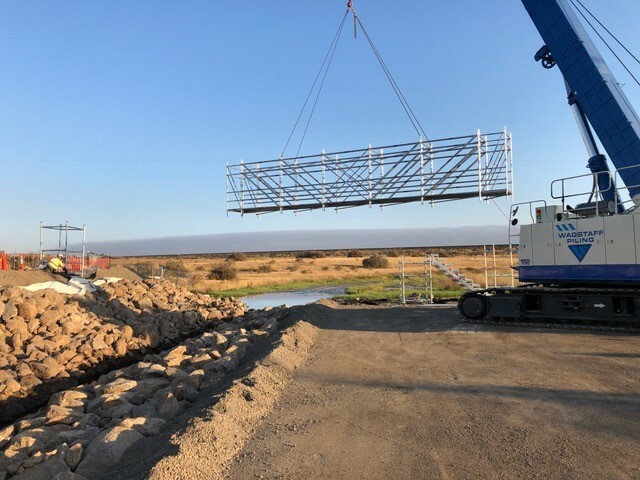 At the Skeleton Creek segment of Melbourne's Western Roads Upgrade Project in Truganina, civil contractor Winslow were experiencing a safety challenge for giving workers pedestrian access from one of side the creek to the other. The existing road bridge had no footpath and using the narrow road itself was perilous, with a constant flow of heavy haulage vehicles present. See what SafeSmart brought to the table. Sydney contractor Above All Solutions were commissioned to provide ways for maintenance people to access several points at a water treatment plant. 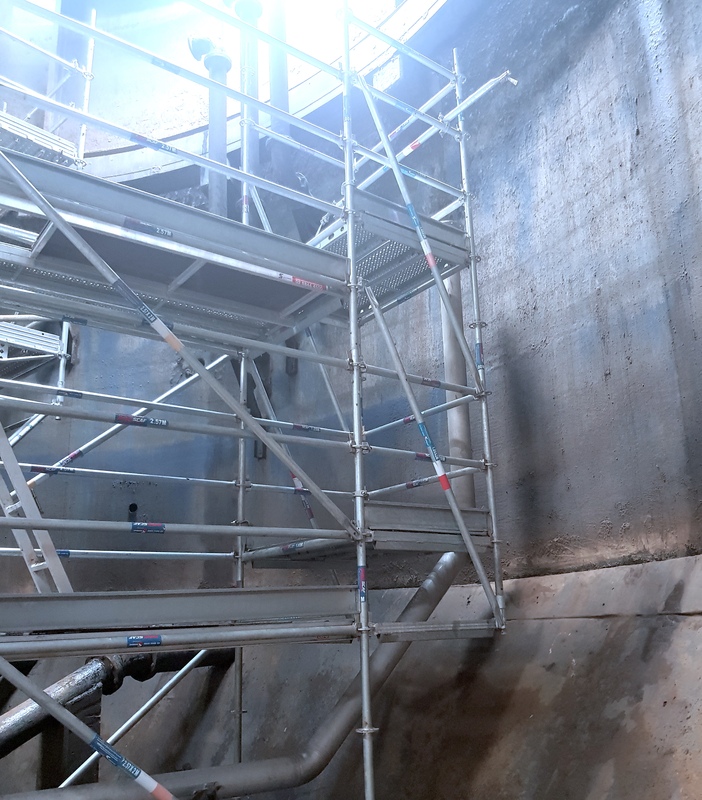 In a plant like this, curved and angular concrete walls in spillways, tanks and around pipe infrastructure make height access very difficult, particularly due to a limited amount of suitable points for securing equipment. See how Proscaf solved it. In what will be a higher-density zone, several architecturally-designed multi-level apartment buildings are taking shape. 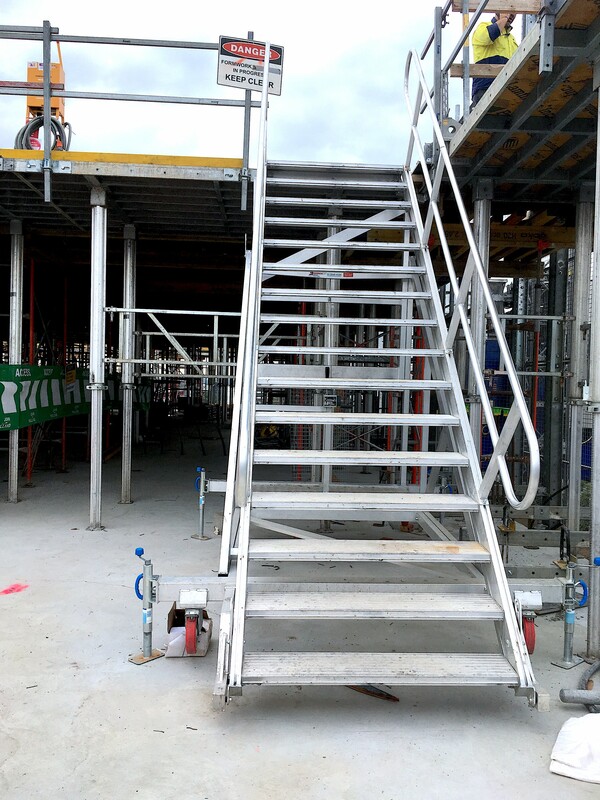 Of course, with multiple levels, challenges can become apparent for height access for workers. 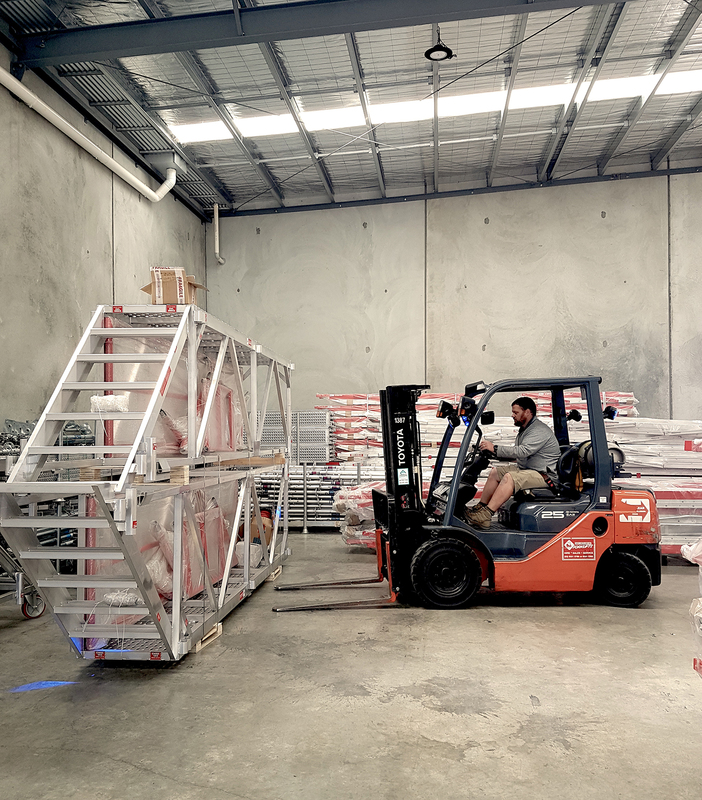 SafeSmart’s reach into Victoria got another boost this week via an expansion into a new warehouse facility in Melbourne’s north west. 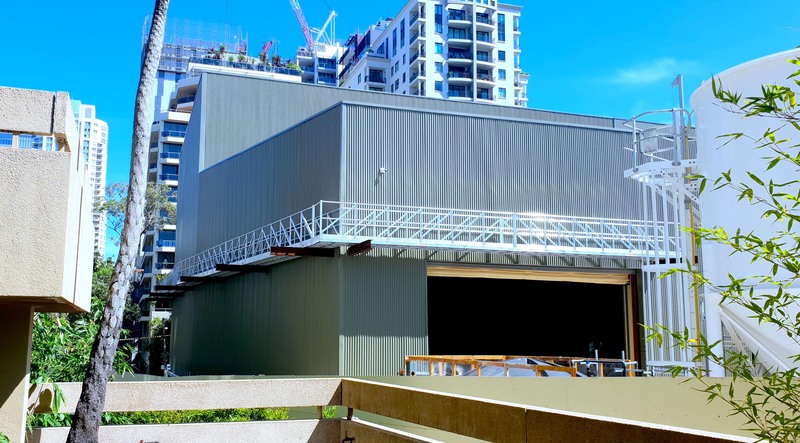 The Sydney-born—now global—portable height access company had previously been part-leasing a shared facility in Keilor Park and had outgrown it due to a big increase in demand for their products in Melbourne and Victoria, such as with previous projects for Yarra Trams and John Holland (Westgate Tunnel Project) and others.